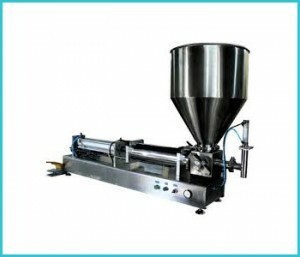 Piston Filler are the most cost effective filling machine for thick products. Automatic piston filler is ideal for filling free flowing to viscous products. Modular design is used for quick changeover. In the packaging industry, piston filler is the most reliable and one of the oldest types of fillers. Piston filling machine is best suited for viscous products that are paste, semi paste, or chunky with large particulates. Piston Filler involves conventional mechanical technology which is very user friendly. It is economical, precise and fastest way to fill fairly thick products.